We are committed to helping each child and adult maximize his or her spiritual potential. ​We constantly and prayerfully are exploring alternative models and schedules, seeking the most effective way to engage very busy people in Spiritual Growth and Discipline. ​We will be offering short-term studies, as well as ongoing, in-depth Bible study for all ages. We are blessed that all our teachers have both professional training and experience, as well as a deep commitment to Christ's church. The pre-k thru 1st grade Sunday School class will be studying "At Home with God." The different areas of exploration are: Be with God, Love God and Neighbor, Understand Yourself as a Child of God, and Explore Faith and the Bible. Students will explore through art activities, Bible stories, music, and activity sheets. This year our Youth Class will be studying Biblical lessons concerning the numerous aspects of Family Life. This study encourages our young people to reflect on these teachings and apply them to their personal lives. Fall Units include: Jesus' Family, Siblings, Different Kinds of Families. Winter Units include: The Holy Family, Being God's Child, Healing Families. Spring Units include Family Goodbyes, Family Betrayal and Forgiveness, The Church Family. 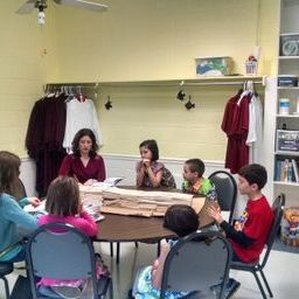 Our class uses God's Word, DVD, Journals, Discussion, & Drama in our lessons so there is always something for everyone! Our adult class is always a lively time of sharing and discussion that relates some current issue with biblical teaching. We love hearing the various points of view our participants bring to class, and we share the ongoing quest to ground our thoughts in the truth we find in Scripture. If you wish to participate, send us your email address, and the link to the lesson will be emailed to you during the week prior to its scheduled discussion. Our email address is: fccc@conwaycorp.net.